I will be reading papers + cutting plastic sheets from this Wednesday until Friday. Contact me if you want to join. It’s going to be fun to have access to all these newspapers. I am envisioning more projects beyond this one! PS: when I was about to close this post, the Boston Marathon explosions occurred. How will it influence press coverage these following days? Interesting to read how difficult it still is to gain access to media other than movies/dvd/video rentals/ebooks. Like you can’t just pay a fee to buy one, say, pdf of a newspaper. Even with DRM. Which leads to something like the ‘first sale doctrine’. 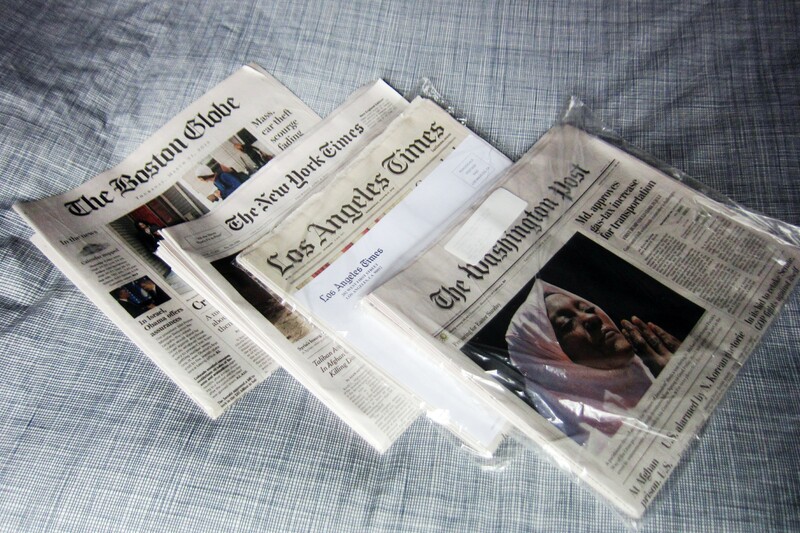 Could you pay someone in another state to buy a newspaper, have them scan it and email a pdf? Or even mail it? 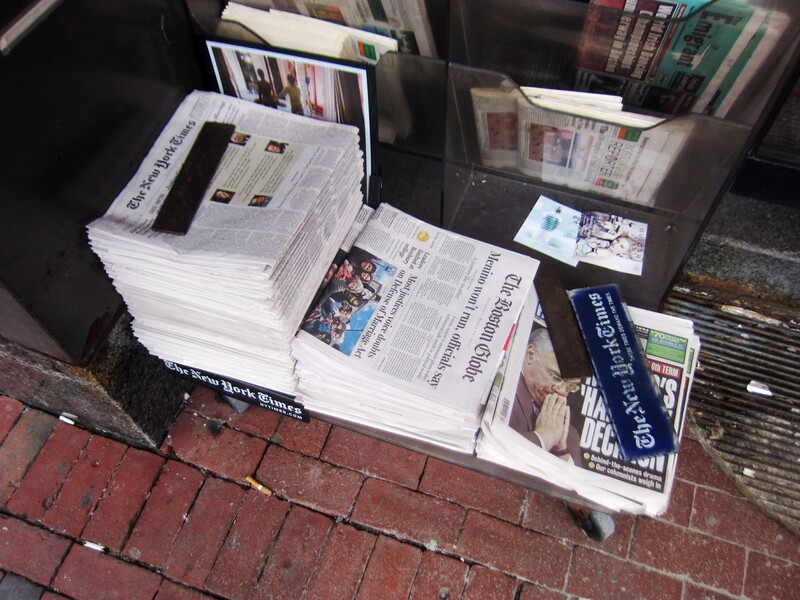 Do the libraries destroy the newspaper for space reasons or as per a contractual agreement? The problem of getting image of the newspapers, and even pdf’s, is more or less solved: http://kiosko.net offers a great archive of front pages. The newseum todays’s front pages also does, but you can not backwards in time to get past images. It would have been possible to ask friends to buy and send them, but I wanted to make the subscription part of the project process. I think libraries destroy newspapers for contractual agreement. That is what the man on the phone told me.